Who is Jade Financial Solutions? Jade Financial Solutions is a fully accredited and insured finance brokering company that has been established since 1998, and has accreditations with over 40 lending institutions, which enables Jade to have access to 400 plus lending products. We specialise in providing a holistic approach to your financial needs. Experience has shown us that this strategy equates to better advice. In the ever changing world of financial services, it is evident that more focus has been placed on profit, rather than customer service, and that banks have ‘lost their way’ in actually helping people to become financially independent. At Jade, we believe in helping people achieve financial security and independence by providing financial structures that benefit the client; this includes debt reduction, investment and personal lending. 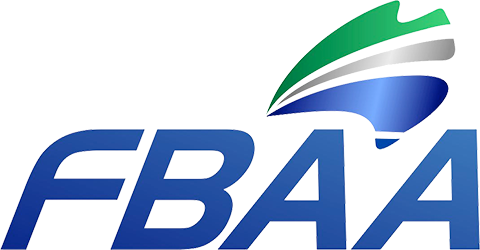 Jade Financial Solutions is a member of the FBAA, which means we adopt a nationally recognised Code of Practice, which is covered by the Credit & Investment Ombudsman Service Limited (CIO), this means you can be assured that you are dealing with a well-trained, well informed professional who is qualified to help select your home or investment loan. How is the name JADE derived? Jade has the same meaning as greenstone, a precious New Zealand stone, which is green in colour. It is a Maori Legend, that states to give someone greenstone or Jade, means good luck and good fortune, hence, the name Jade Financial Solutions, by giving our clients Jade we wish them good fortune. With Jade, you can be assured of professional advice, Jade has access to in excess of 40 lenders and we have an extremely high success rate of approvals and most importantly, settlements. Jade is also one of Australia’s top deposit bond agents and has accreditations with all leading deposit bond issuers, helping you choose the smart alternative. In today’s lending environment, most lending is done outside of your own bank manager’s discretion, and your bank may not understand exactly what you are trying to achieve. We do. Remember, just because your bank says ‘no’ doesn’t mean another will. It is our aim to be your financial partner through life. Our range of services gives you the benefit of having one contact point for all your financial needs. There are a wide variety of financial institutions offering a plethora of mortgage products. This competition is to your advantage, but only if you know how to judge one product from another. Each person’s lifestyle and financial situation is different. There’s no such thing as a ‘one mortgage fits all’ solution. This Guide is not designed to decide which is the best mortgage for you – only help you understand your particular circumstances. This guide will help you understand some of the options available.